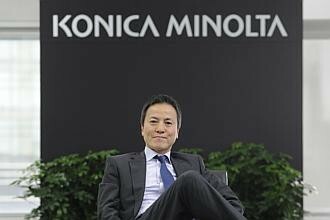 THE strengthening yen and the growing market in South-east Asia have led print and imaging giant Konica Minolta to expand its operations here. Its Singapore unit will take on additional responsibilities such as managing new marketing and sales initiatives, human resources, maintenance and support services, as well as research and development. The much-expanded role for the local unit - previously it had managed only South- east Asia's sales - has earned the Japanese firm regional headquarters status from the Economic Development Board. Konica has invested about $4 million in a new office, which includes its research and development centre, in Mapletree Business City in Pasir Panjang Road. The R&D centre will start operations around October and will focus on customising printing software for Asian customers. 'Asian demands in printing are different from the US or Europe,' noted Mr Haraguchi, who was here for the opening of the new office on Monday. 'In the US, for example, many companies are using mini computers such as IBM AS400. We've to understand these computer systems, to make printers that can print from these big machines. Asian clients may also want to print in character-based languages and their security requirements could be different, he added. Konica Minolta, which has been in Singapore for about 40 years, had to ask its researchers in Japan to customise solutions, a system that was inefficient and unproductive. The firm saw the benefit of a local R&D centre that could react to market demands much quicker. Technical staff will be hired for the R&D centre but the numbers have not been confirmed. 'The yen has also appreciated so much that it's very expensive to get Japanese engineers to do our R&D. It's faster and more affordable to do development work here,' added Mr Haraguchi. Basing the regional headquarters here should double sales revenue in South-east Asia for commercial printing solutions, he said. The company, which makes commercial printers, optical and health-care products and measuring instruments, among other products, has about 150 employees here, 400 in its Malaysian subsidiary and about 10 in Vietnam.